Haringey Council recently received a request under the freedom of information act, on reported pest activity in recent years. The report confirmed that there has been over 14,500 pest control related incidents reported in the borough over the past 4 years. Like many other boroughs in London, pests in Haringey are clearly on the increase. But with the government cuts of recent years and an on going recession still with us, it is not really a surprise. According to the report the most common pest reported and worked on in Haringey is rats, closely followed by bed bugs. The increase in the rat problem could be put down to a number of other reasons. Household waste is certainly one of the key factors. We all know that our rubbish should be put out on the morning of collection, if possible. Unfortunately it is not always possible to do this and for large families it is also not practical. Sometimes people have to put their waste out days before collection. If we had two bin collections per week, the number of rats would undoubtedly fall considerably. Because without a food source rats cannot survive. But this is not something that is likely to happen in the current conditions we are unfortunately in or in fact ever. Also with more small restaurants and fast food establishments around in Haringey than there was ten years ago, there is more food waste available for rats. Another issue with rats all over London is the ineffective methods of control and removal being carried out by some people. This is generally because many people are being forced in to choosing to try and treat rats themselves, due to the recession, instead of getting professional help. This is ok if you know what you are doing and continue the treatment until the rats have gone. But unfortunately in these circumstances, people think that placing shop bought poisons just once will get rid of the problem and don’t continue to check and refresh the poisons they have placed. Quite often, second-rate shop bought poisons and the incorrect amounts placed, sometimes mean that rats actually thrive on these products and will in fact find the product quite palatable. 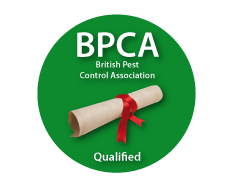 This often means that a pest control company is called to deal with a rat problem, it can take longer to get rid of the rats because they have to change to a stronger poison during treatment, because the rats may have built up a resistance to some poisons already. The best way to keep the number of rats down is to try and keep things clean and tidy. We can all help out by not putting rubbish out early. If you need more bins, use metal ones as rats will chew through plastic to get to food. If you eat take away food and snacks when you’re out shopping, on your lunch break or on your way home from a night out, please make sure you put all of your waste in the bin. These should be emptied on a regular basis. If you do find yourself with a rat problem at home, please call in a professional pest control company. The landlord from Walthamstow, admitted eight offences of failing to keep the flat in good and clean decorative repair. Horrified housing enforcement officers discovered the filthy, mouldy flat, which had a hole in the staircase leading into a workshop below. They found exposed wires, kitchen cupboard doors off their hinges and an infestation of cockroaches. The cockroaches were that numorous they had spread to neighbouring premises. The problem was only brought the councils attention when neighbours reported seeing cockroaches in their kitchen. When pest control officers went to inspect the reporting property, they knocked on neighbours flats to see if there was any activity with them. When the tenant of the infested property opened their door, cockroaches were seen straight away. It was then that the councils environmental health officers were called. The landlord was fined £1,750 and ordered to pay costs of £600. The flat has been deemed unfit for safe living and he has been ordered to do all repairs and to rid of the cockroaches within three months or face possible imprisonment.